Three Edmonton men and two from Chilliwack, B.C., are facing charges in what’s being hailed as one of the largest drug seizures ever in Western Canada. Close to $9-million worth of marijuana, hash and heroin was seized as part of a joint partnership between the Canada Border Services Agency (CBSA) and Alberta Law Enforcement Response Team (ALERT) in Edmonton on June 4. The bust included 292 kilos of marijuana, 14.1 kilos of heroin and 6 kilos of hashish. Authorities say the bust concluded a five-month long trafficking investigation. Three Edmonton men were taken into custody at a storage facility in the western part of the city, along with nearly 210 pounds of weed. “Meanwhile, two men driving a semi-tractor trailer were arrested at the CBSA’s Commercial facility at the Edmonton International Airport. An inspection of the trailer yielded 197 kilograms of marihuana and 14 bricks of heroin,” said ALERT Insp. Darcy Strang. The heroin seizure is Alberta’s largest ever, and the marijuana bust is believed to be the biggest in Western Canada. Twenty-four-year-old Dustin Stone, Douglas Dach, 51, Samuel Hutsulak, 24 – all from Edmonton – are now in custody and face charges. 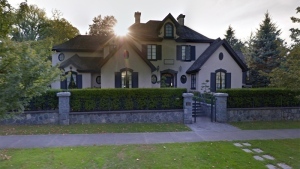 Two men from Chilliwack, B.C., Barry Grindrod, 55, and Kodie Grindrod, 21, are also being held. Insp. 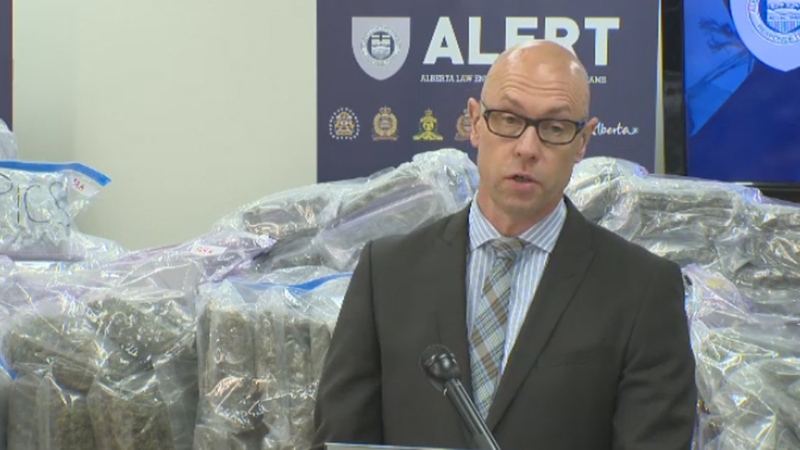 Darcy Strang of the Alberta Law Enforcement Response Team speaks at a press conference about a major drug bust in Edmonton, Alta., June 11, 2014.